AMAE offers a wide array of clinical facials to effectively reduce the appearance of age spots, scarring, fine lines and wrinkles. Clinical Facials remove the dull, dead, top layer of skin cells – to reveal smoother, younger, brighter skin beneath. Supervised by Board Certified Plastic Surgeon Dr. M. Azhar Ali, our state-of-the-art Clinical Facials are highly effective at skin resurfacing and anti-aging. Each treatment includes different levels of microdermabrasion or chemical peels. At Amae MedSpa we offer the Diamondtome Resurfacing System, Obagi, ZO, and Jan Marini Skin Research award-winning products. 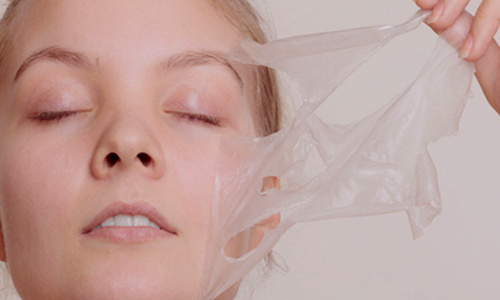 These include 20% salicylic acid peels, 40% and 70% glycolic peels, as well as a 10% TCA, lactic and salicylic cocktails for a deeper exfoliation. Prior to scheduling an appointment for these type of treatments, a consultation is recommended. Each Facial Treatment begins with a professional skin consultation. Treatments are optimized to meet the specific needs of each client with the most innovative and comprehensive products and technologies. For optimal results we recommend purchasing a package of facials scheduled under the guidance of your aesthetician. This resurfacing treatment provides skin refining effects for smoothness and hydration. If you are looking for assistance to minimize the appearance of fine lines and wrinkles, acne, sun damage, and hyperpigmentation, this chemical peel facial treatment offers no down time. This accelerated facial treatment incorporates two effective topical exfoliants that intensify the resurfacing of any skin type. Proteolytic Enzymes gently resurface by removing dead skin cells without harming sensitive skin. A great choice if you are looking to reveal healthy, smoothed, and polished skin with no down time. This microdermabrasion treatment is combined with a 20% salicylic acid peel and effectively exfoliates the uppermost damaged skin layers, leaving your skin fresh, renewed, and radiant with little to no down time. This is a suitable treatment for most skin types including sensitive skin. This highly controlled abrasion system removes dead skin cells while opening clogged pores. A stimulating and repairing skin procedure, this may be used on face, neck, chest, arms, hands and back. Treatments are typically scheduled four weeks apart, and best results are achieved when it is combined with a facial or chemical peel. Dermaplaning is a simple and safe procedure that provides a deep exfoliation to the skin while also temporarily removing fine vellus hair, commonly referred to as “peach fuzz.” Dermaplaning is safe for all skin types, and it promotes better product penetration. It is also a safe alternative for pregnant or nursing women who want a deep exfoliation, but cannot use chemical peeling agents on their skin. In addition to providing a deep exfoliation, Dermaplaning is also a great choice for patients who have excess vellus hair, as this hair can be bothersome and often causes a buildup of dirt and oils in and around follicles. There is no downtime with Dermaplaning and it can be done as often as every two to four weeks. This exclusive blend of 10% TCA, lactic, and salicylic acids is the most aggressive peel offered. It removes the outermost layers of skin to improve tonicity, texture and smoothness – while stimulating deeper skin layers for the most profound benefits and cellular function. This peel is designed for acne, Melasma, sun damage, fine lines and wrinkles, rough texture, and dullness. While promoting softer, smoother, and more firm skin, most patients can expect recovery time to be 5-7 days.